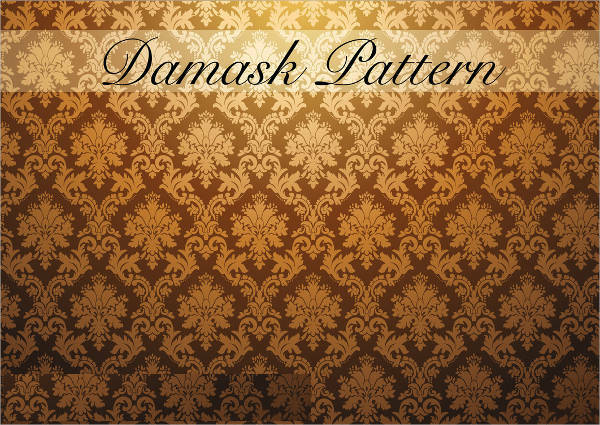 Damask is a fabric of linen, cotton, silk or wool with a reversible pattern woven into it. There are several damask patterns that are woven into fabrics but nowadays, it is also used as a background and in wallpapers. 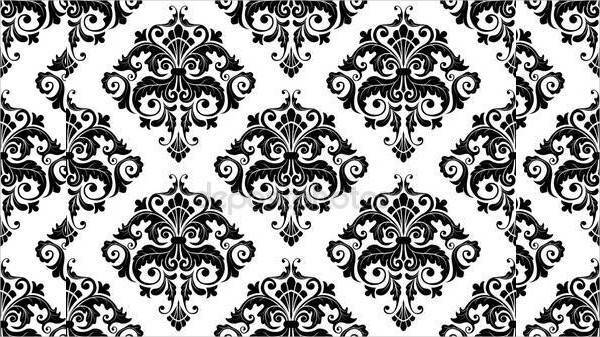 Damask pattern design is famous for its rich design and unique Free Patterns that when incorporated adds a mysterious charm anywhere. 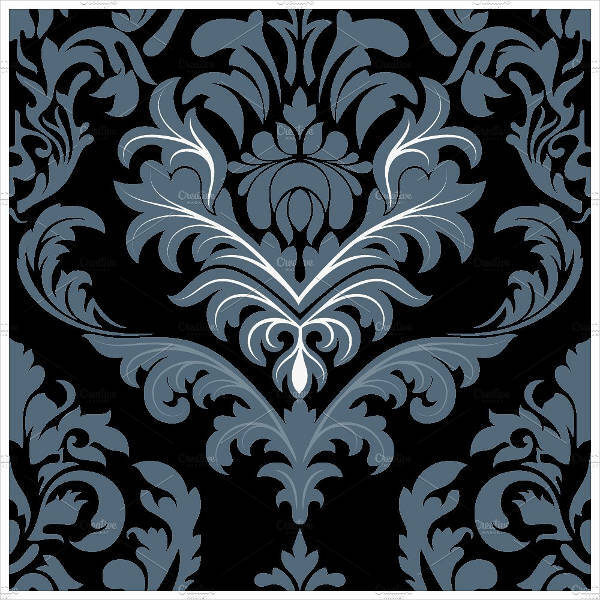 Damask patterns come in a range of colors and designs. Let’s have a look at some of them below. 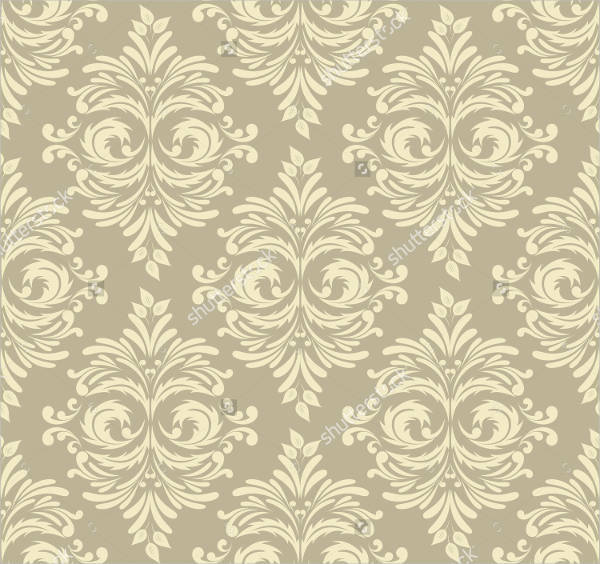 This gorgeous golden damask pattern is very rich with a vintage charm. It is a digital pattern designed with vector graphics. 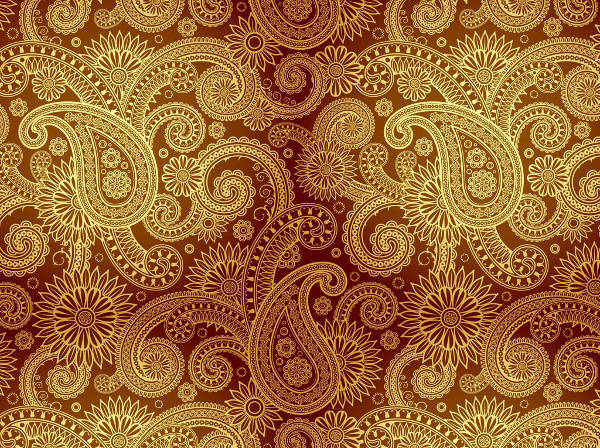 It is a golden seamless pattern with swirls and stem shapes. It can be used for creating backgrounds, fabric patterns etc. You may also see Gold Patterns. This vector illustrated floral damask pattern is simple and beautiful. 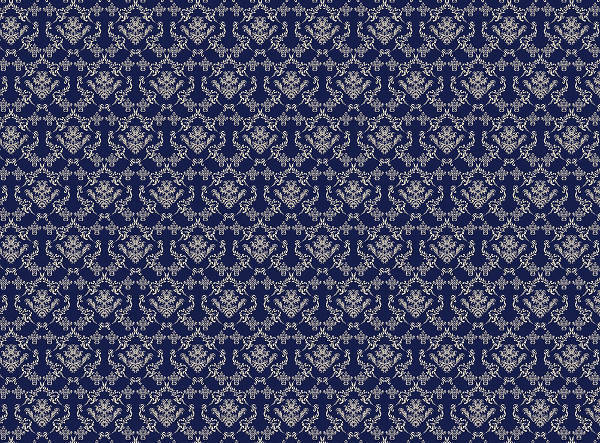 The damask pattern has a vintage touch with a retro pattern. It can be used for creating sober backgrounds. You may also see Purple Floral Patterns. 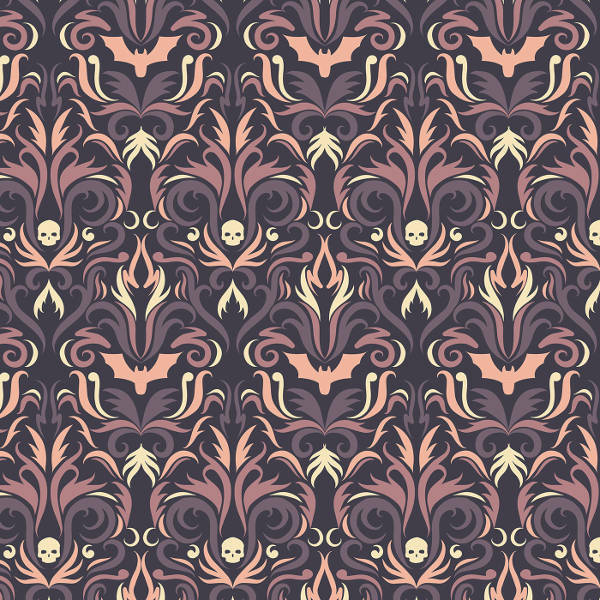 This graphic designed in a Damask pattern features skulls and bats with swirls in a mysterious design. This vector illustrated graphic can be used in mugs, pillow covers, tee shirts and as a backdrop. You may also see Classic Patterns. This is an ornate damask arabesque design which contains floral motifs in a seamless black and white square patterned format. It can be edited and changed as per the user’s preference. 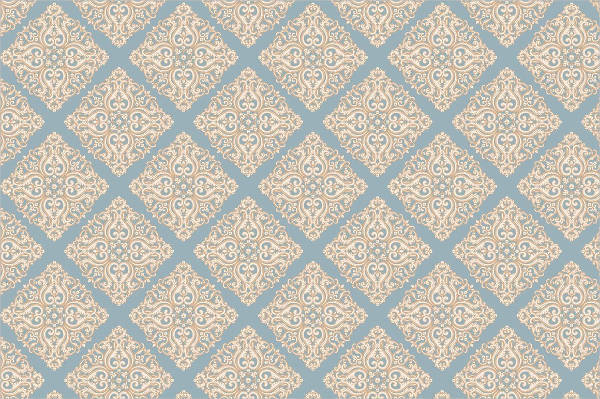 This seamless damask pattern comes in a beautiful beige and blue pastel texture along with pearls. 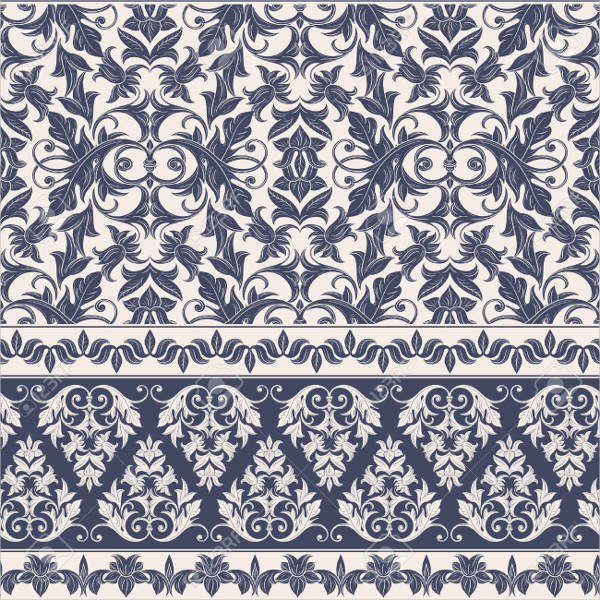 This design can be perfectly incorporated for interiors, wallpaper, textiles etc. 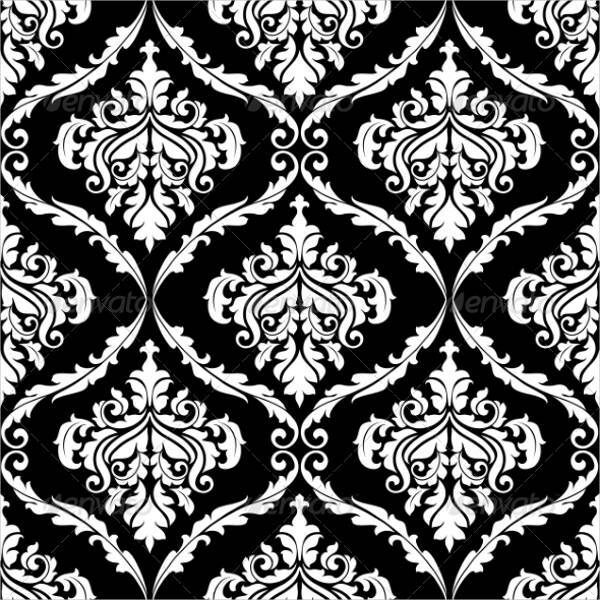 This vector illustrated damask pattern has a rich baroque design in black and white. It is an elegant design which holds a royalty touch with floral print and swirls. It can be ideally used for textiles print, wallpapers and as background. 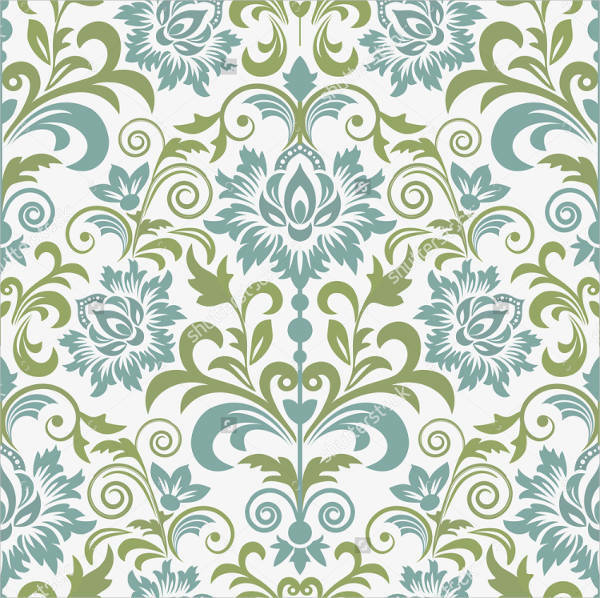 This lovely green and blue damask pattern is a seamless design with the large floral motif in a square format. It is perfect for use in textiles and in wallpapers. It is available for a cheap price. 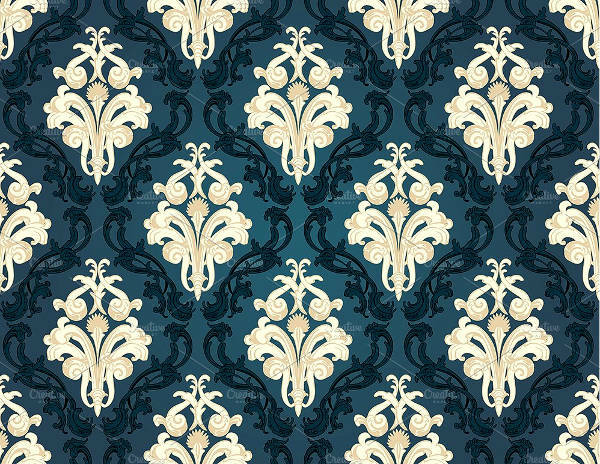 This seamless damask pattern design has a very rich baroque design. It can be used effectively in cards and is created in a high-resolution JPEG format. 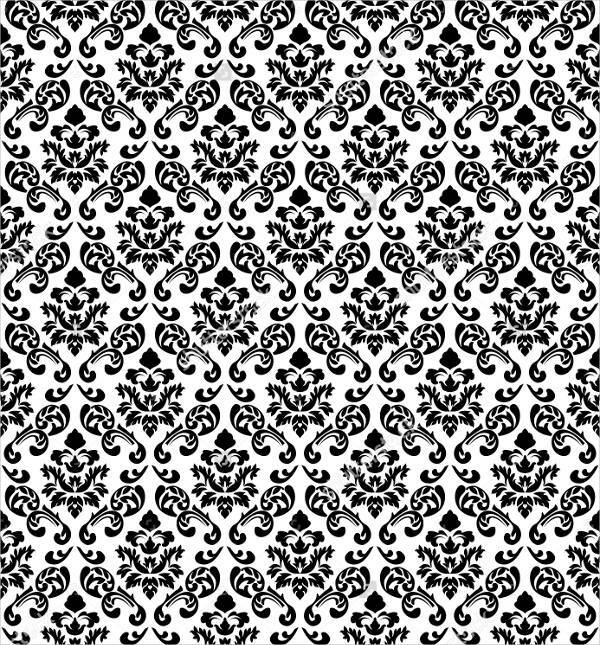 The seamless vector patterns have been flawlessly made with Photoshop brushes. This abstract damask pattern in pale yellow and olive green is a subtle design created with vector illustration. It has been created with Photoshop and can be used as a backdrop or background. 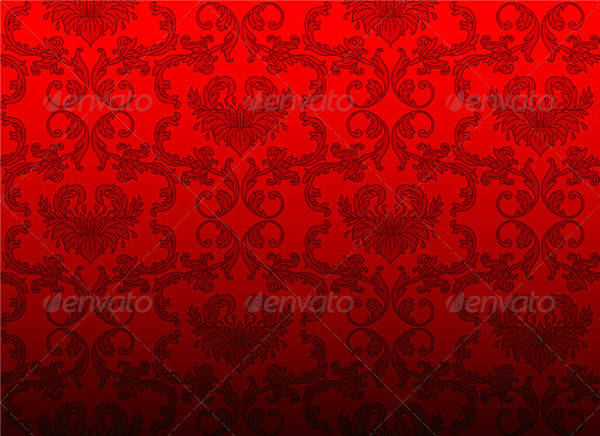 The red damask pattern is a very bright and attractive one which features black print. It is a vector illustration and can be used in wallpapers, backgrounds and textile print. 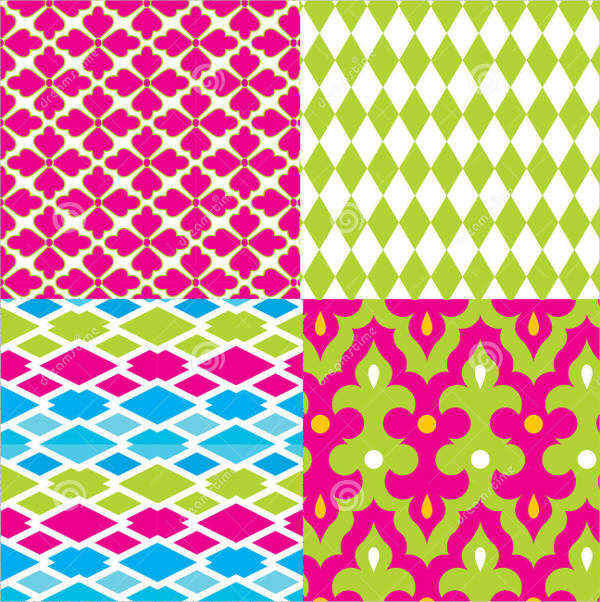 This is a set of 5 seamless patterns which have been created with high-resolution images. These are editable and are vector illustrations with attractive teal colored background and white baroque prints. 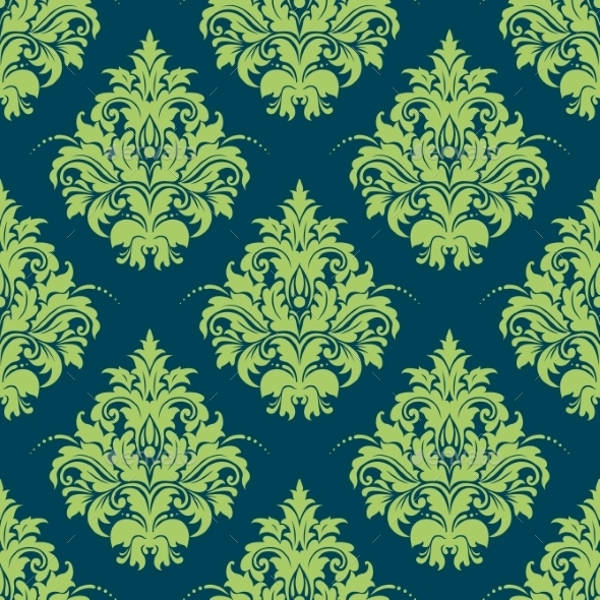 This is a two colored damask pattern background with colors green and blue. It has a seamless floral background with a vector illustration. It can be used in wallpapers, backgrounds and textile prints. 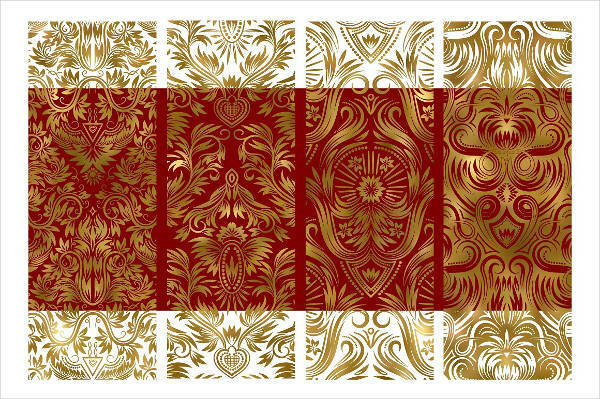 This is a set of 10 royal damask pattern designs in golden transparent style. 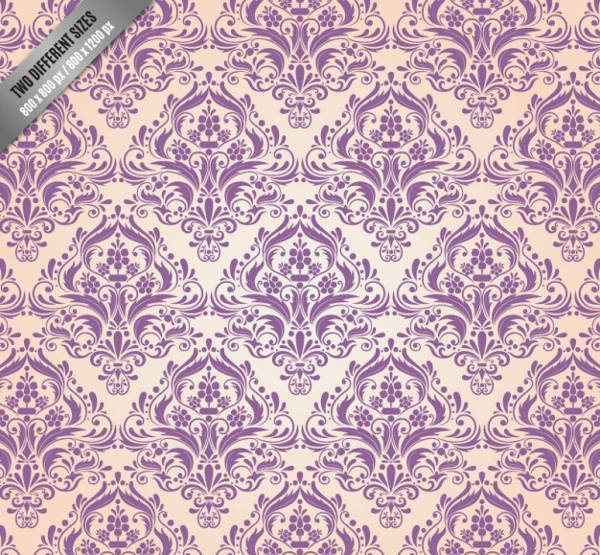 This damask pattern can be used for creating several projects such as trendy backgrounds, wallpapers, apartment walls etc. 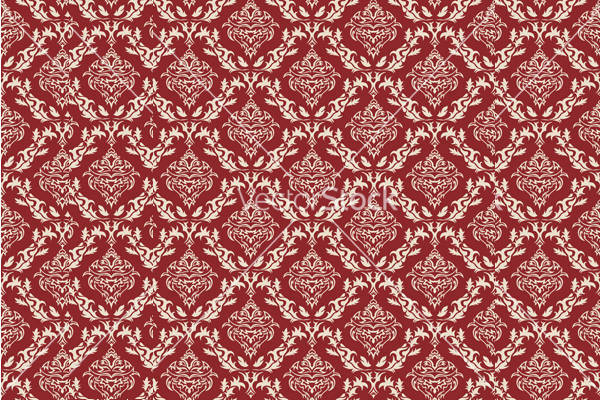 This is a very intricate design on a background of dark maroon in white prints. This seamless pattern can be used for several different types of projects and is made from vector illustration and a high-resolution format. 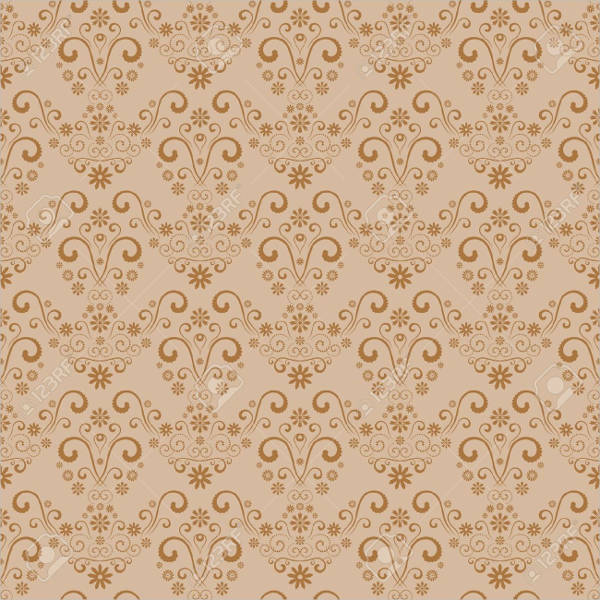 This is a seamless decorative damask floral pattern with a floral background. It is best for invitation cards with a royal touch. It has two patterns combined in one with intricate detailing and floral prints. 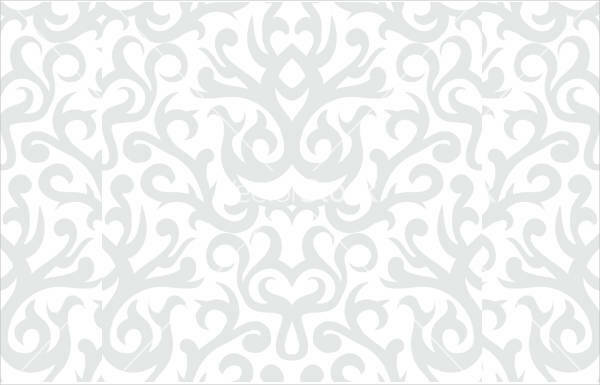 Damask pattern designs are largely used in a number of projects including invitation cards, backgrounds, wallpapers, backdrops, textile prints and so on. It is primarily created with the help of Vector illustration and Photoshop. These patterns are largely in demand and thus they are created in graphic representations. They can be used in individual projects or group projects.You may also see Blue Floral Patterns. 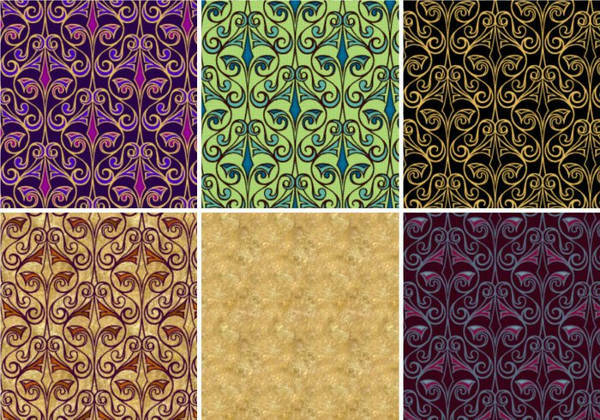 Damask patterns are highly used in projects which can be used as invitations, wedding cards, textile prints, wallpapers, backgrounds etc. It can be used for creating a beautiful backdrop which contains floral prints, royal designs and so on.